I started as a professional in 1981 and finished in 1994… I was on R90 a month. R50 a win and R25 a draw. I bought a car, I bought a flat… It was a lot of money! Each week The Money Show’s Bruce Whitfield interviews a famous person about her or his attitude to money (hopes and fears, successes and failures, etc.) as part of his weekly “Make Money Mondays” feature. 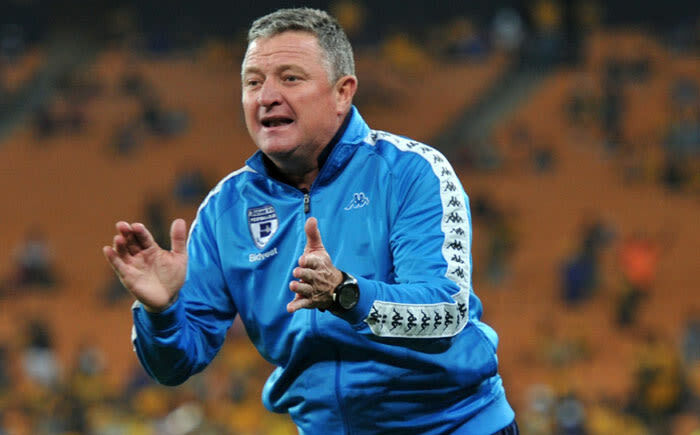 This week he interviewed Gavin Hunt, coach of the Premier Soccer League club Bidvest Wits. Hunt (born 11 July 1964) spent most of his career as a player with Hellenic. He went into coaching immediately upon retiring from playing due to injury. Hunt achieved success with SuperSport United where he won three consecutive PSL championships from 2007-08 to 2009-10. He has managed Seven Stars, Hellenic FC, Black Leopards and Moroka Swallows. What does Hunt believe about money? I thought I was gonna have to go to the army [why he didn’t take up an offer at 15 to play in the UK]… You couldn’t duck… you’d go to jail! Olympic gold medallist Cameron van der Burgh on his attitude toward money (hopes and fears, successes and failures, etc. ).